If your looking for a cheap easy way to save energy in your home, one of the best DIY improvements is to install foam outlet insulators & switch plate insulators. Wall plate insulators/gaskets really do work. They can reduce your heating and cooling bill by as much as 20% by helping to retain heating and cooling in your home. If you place your hand over your outlets in the Winter on a windy day, you will feel cold air blowing through them. The purpose of foam insulators/insulators is to seal off the wall cavity behind outlets & switch areas from the living space. If an energy audit firm conducts what is called a "blower door test," you will be amazed to find a generous amount of outside air blowing out at you from these points. A blower door test depressurizes the home to expose air entering the home from the outside. In other words, it turns the house into a giant vacuum chamber. Some people will tell you that you only need to insulate outlets and switches on outside walls. Conducting a blower door tests confirms that this is not true. Inside wall receptacles and switches need to be sealed since electrical wires run across walls allowing outside air to enter the inner-wall cavities. Inner-wall cavities are also fed by pipes and exposed to crawlspace/attic air (and other unconditioned areas) making the inner wall cavities subject to cold air. In my personal home, a blower door test was used to check the air infiltration rate of my home. Before the insulators were installed, the outlets whistled; they leaked so bad. The tech conducted a post test after the insulators were installed and they were not only sealed, but I reduced my home's over-all air infiltration rate. Simply stated, I am now retaining my heating and cooling. I was finding that even with a high efficiency geothermal heat pump, I still had high energy bills. What good is a high efficiency geo-thermal system if your home cannot retain what is generated? I installed electrical outlet insulators all throughout my home. I went to Home Depot and paid a fortune to buy enough small retail packs to do my entire home. (It cost me over $100). A couple years later I built a new home, which I had the more modern switches and receptacles. For those of you don't know, the Leviton Decora are the fat, contemporary rocker style switches found in all new construction. They are also the same size as the bathroom Kitchen GFI outlets. I found a company that sells the "Decorator" or "Decora Leviton" switch and outlet insulators/gaskets in bulk which cost a fraction (about 70% less) compared to the retail "Frost King" packs that you find at Ace, Home Depot or Lowes. I looked all over for these foam socket sealers. I ordered them from ReduceMyEnergy.com and installed them in my home. What a BIG difference. My rooms are cozy and more comfortable too. They have already more than paid for themselves. 1. To install electrical outlet insulators & switch plate insulators begin by turning power off to the outlet or switch at the main circuit panel. 2. Next, use a small lamp, digital multi-meter, or circuit tester to make sure power is indeed turned off at the outlet of fixture itself. 3. Now remove the cover plate using a screwdriver. 4. Next, install the foam sealer over the electrical outlet or switch. Remember to first remove the appropriate cut-out on the sealer for the type of electrical box (outlet or switch) that you are sealing. 5. Finally, install the electrical cover plate over the sealer and turn power back on to the electrical outlet or switch at the main circuit panel. You can even add more draft and insulating protection by installing child safety outlet plugs. 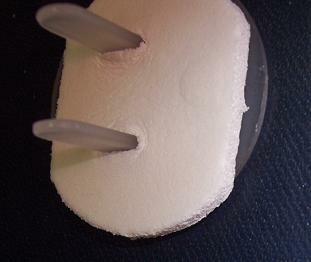 You can use the waste knock outs from the electrical outlet insulators to add an additional level of seal/insulation. The cold air drafts around your electrical outlets and switches will now be eliminated, and your home heating&cooling energy bills will be lower next month.